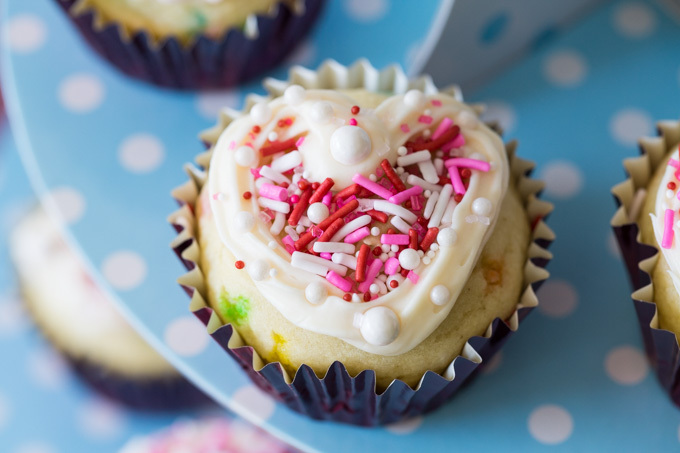 Need inspiration for Valentine’s Day baking? 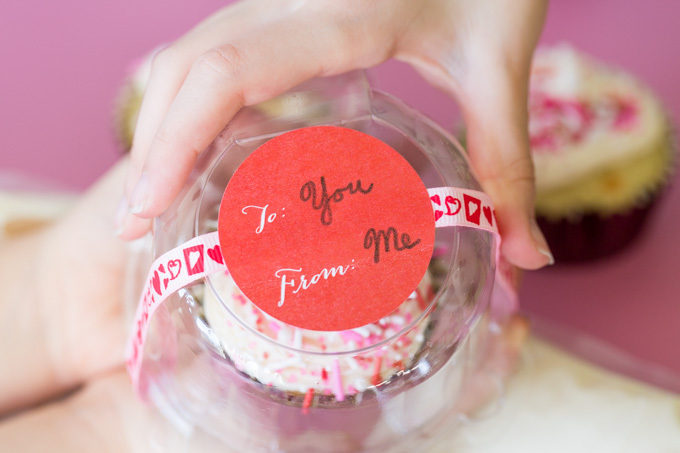 These easy Valentine’s Day cupcake ideas for decorating will have you frosting like a pastry artist in no time. You could charitably describe my early cake frosting attempts as “freeform.” Or maybe “abstract.” But I’ve become a lot better with the right tools. 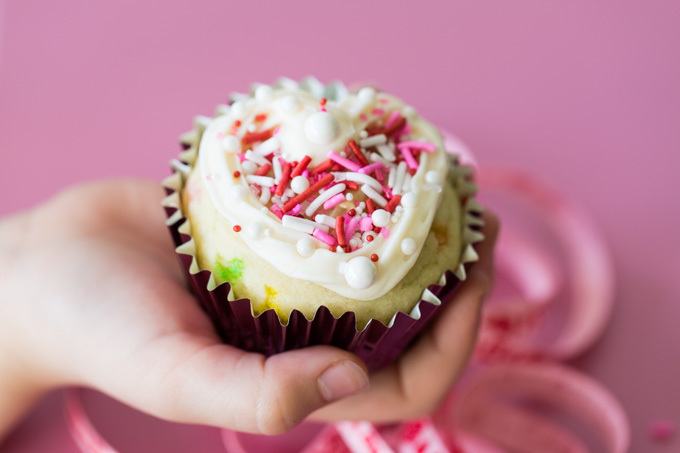 These Valentine’s Day cupcake ideas use a simple combination of one color of frosting plus one assortment of colored sprinkles. I like to use the new Pillsbury Filled Pastry Bag. 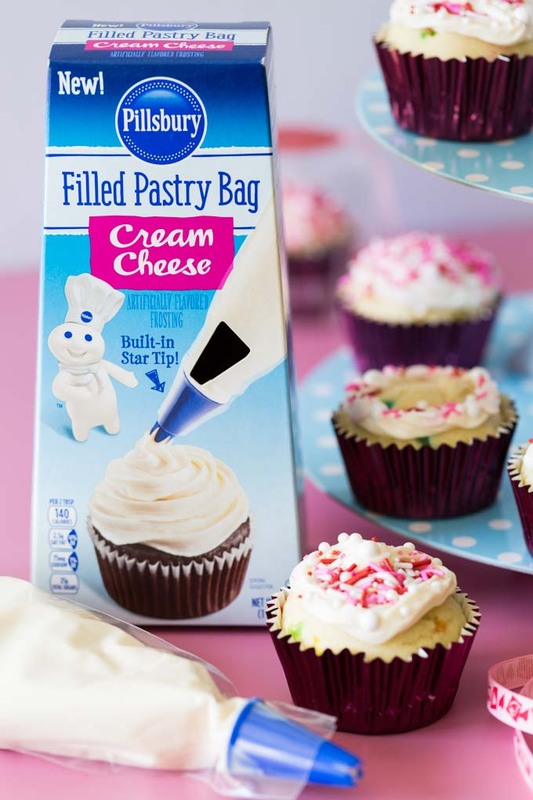 It’s a pastry bag that’s pre-filled with Vanilla, Chocolate Fudge, or Cream Cheese frosting, and it has its own star-shaped decorating tip built right into the bag. 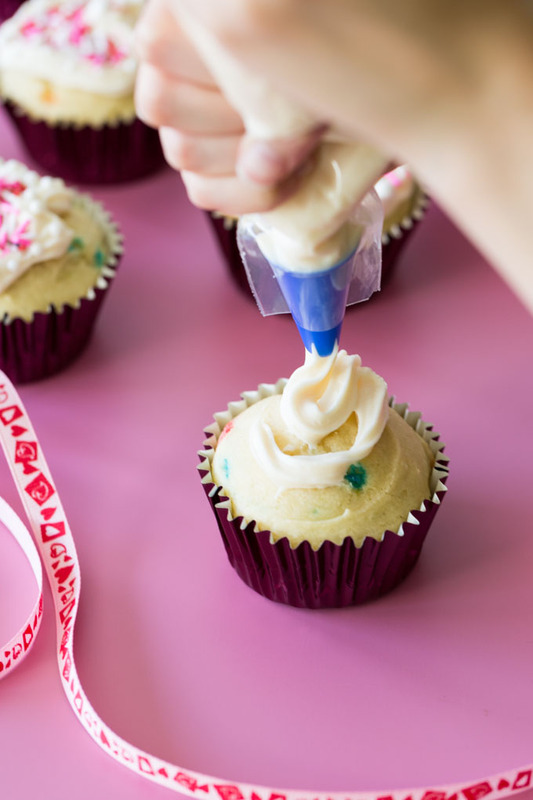 Frosting can be an enjoyable activity for bakers of all skill levels, and with this handy product, even the youngest bakers can join in the fun, with minimal cleanup and an impressive result. 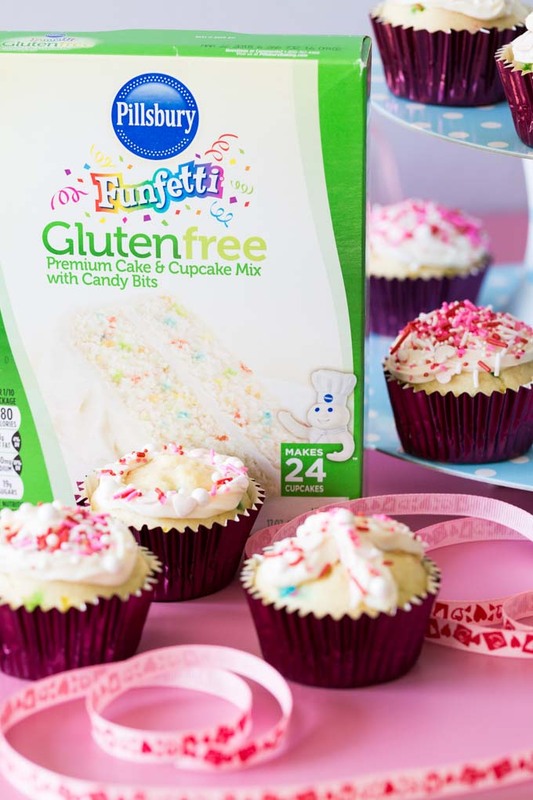 Did you know that Pillsbury also makes a Funfetti Gluten Free Premium Cake & Cupcake Mix with Candy Bits? 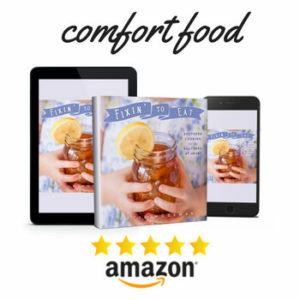 Being able to bake cupcakes without the hassle of making everything from scratch is a tremendous convenience, especially for gluten free households. 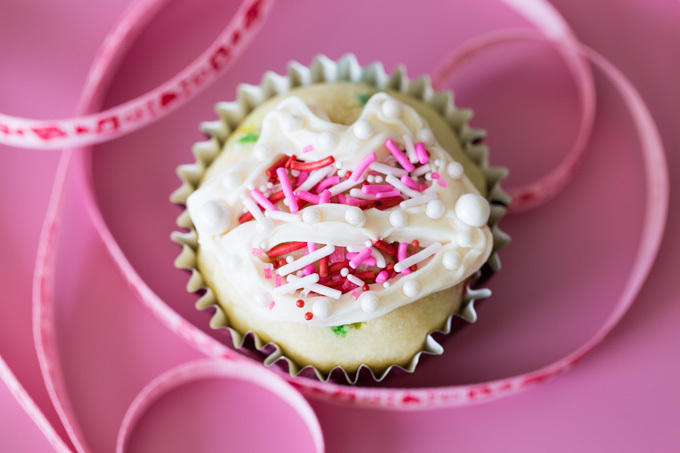 Since it’s February and love is in the air, I’m going to demonstrate how to pull off five simple frosting designs for Valentine’s Day. 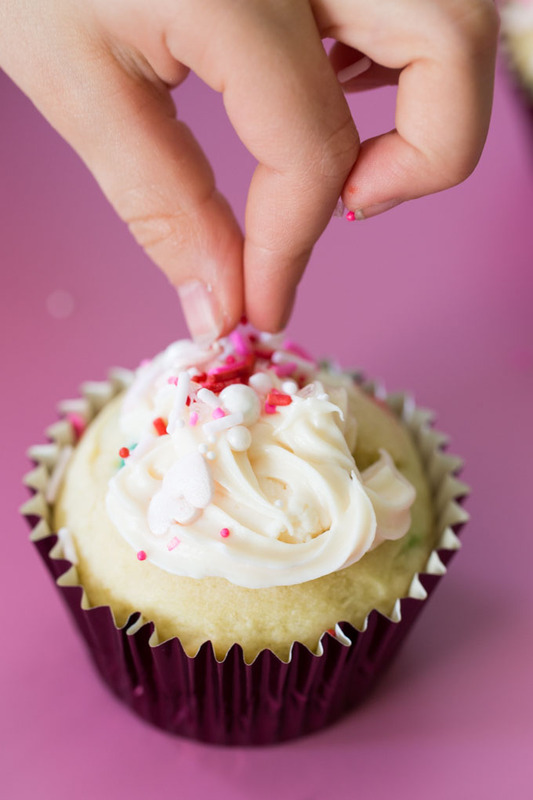 They’re easy enough that kids can do them—or even adults who think they don’t have the skills to decorate a cupcake. Perfect for a pair of cupcakes! Draw an X on one cupcake, and an O on the other. Sprinkle with decorations. Draw the outline of lips, then choose one type of sprinkle to press into the outline all the way around. Fill the unfrosted center of the lip design with a contrasting color of sprinkles. 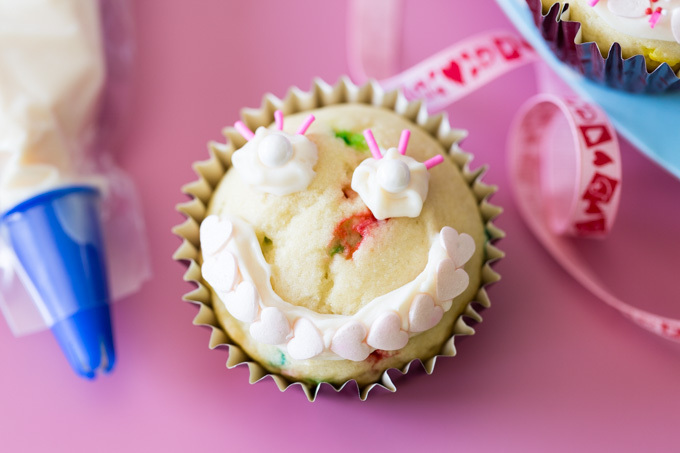 Use the frosting to dot two eyes and draw a single line mouth to make a smiley face. Press one heart sprinkle on each eye. Insert 3 or 4 long sprinkles into the top of the eye to make eyelashes. Press one type of sprinkle evenly in a row all the way across the mouth. Use the frosting to draw a heart. 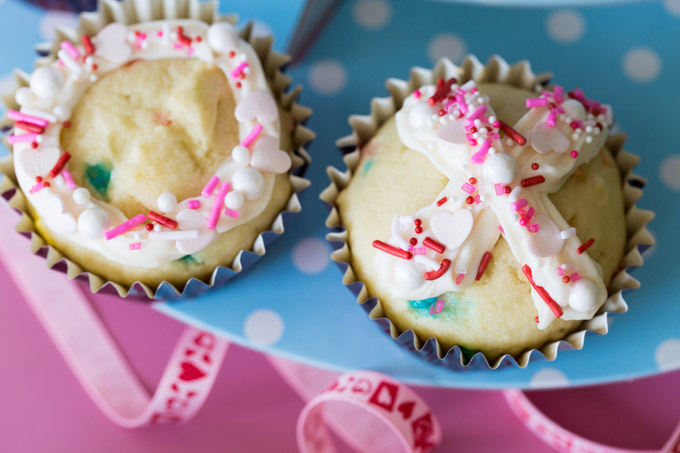 Outline the heart by pressing decorations gently into the frosting. Fill the unfrosted center of the heart with contrasting sprinkles. Celebrate the little moments in life! 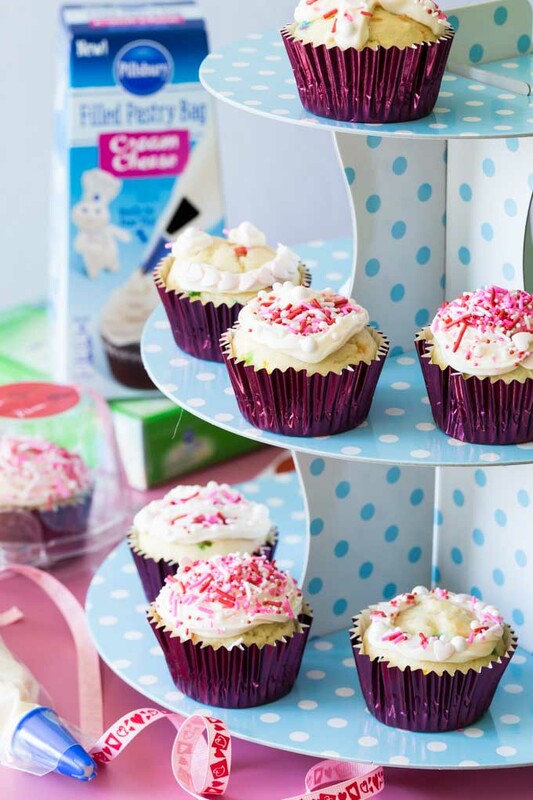 Subscribe to the Pillsbury Operation Celebration newsletter to receive baking inspiration right to your inbox. I may need to make post-Valentine’s Day cupcakes now. 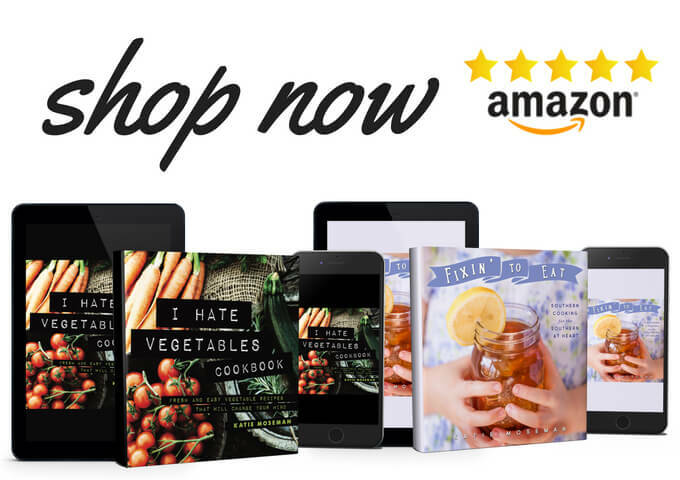 Fun ideas for decorating them!